After I wrote ‘four days to the end of the year of Rabbit’, I realised that at the origin of the Chinese zodiac, new year does not come until 23 January 2012. 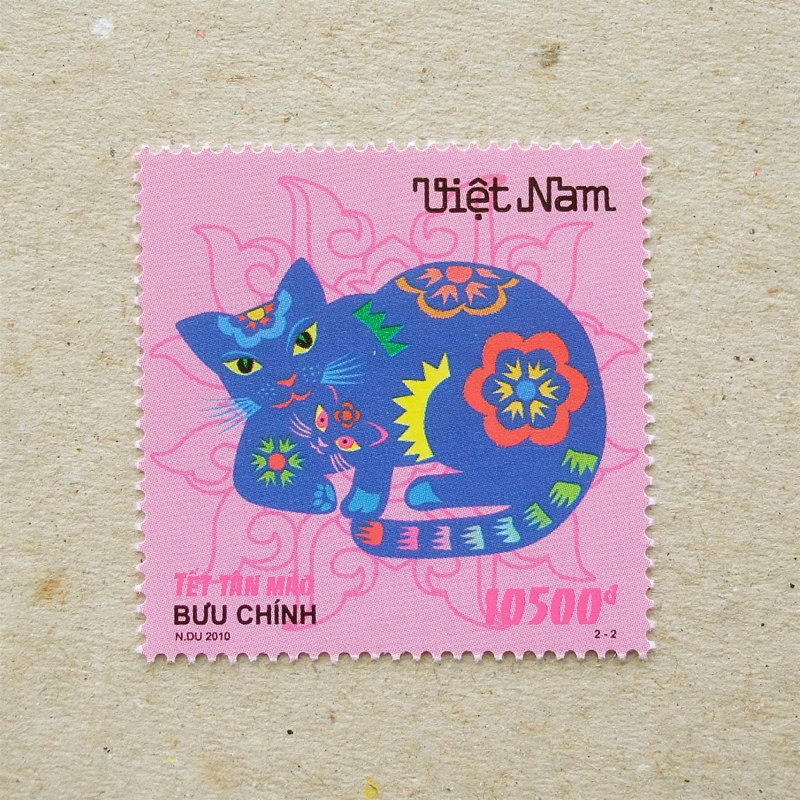 Also in Vietnam, one of the countries to follow the tradition of the Chinese zodiac, this year is the year of Cat. 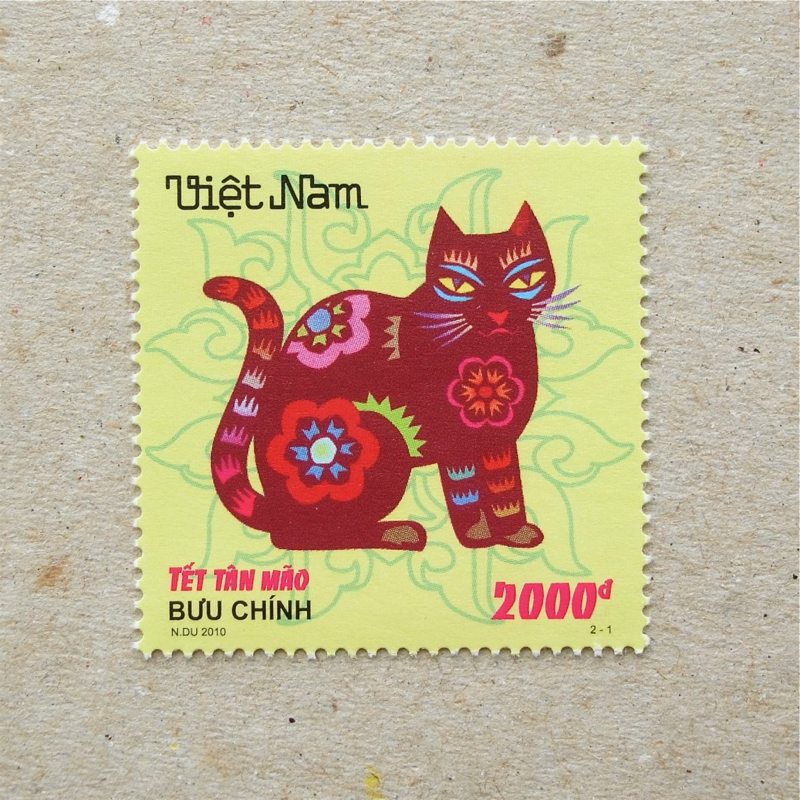 This set of stamps were issued at the end of 2010, for the new year celebration of 2011. Yes, the world consists of great diversity. I want to learn more about those interesting differences and how people express their originality, through the world of stamps. I wish you all have a happy new year.